Fall is a perfect time to get on top of home maintenance before shorter days are here. If only all you needed to do to prepare for fall was to go apple picking and buy everything pumpkin spice flavored. And while those are both important fall traditions, there are a lot of important things you should prepare for, especially as a homeowner. Fall is the time to start considering everything you need to do before your house has to start dealing with chilly fall nights (and eventually the lower temperatures of winter). At Fix-it Rite in Sacramento, we are homeowners who understand the need to have a properly functioning home. The most important maintenance for a homeowner to do in the fall would be trimming back trees. Sure, during fall, trees lose their leaves, but cutting back branches will help you keep things neat. During this time of year, trees go dormant and are less likely to catch a disease. This will also be a way to lower the number of leaves you will have to inevitably rake up, no matter how scenic leaves look when they are blanketed on the ground. Larges leaves, especially when wet, can suffocate the grass below and lead to all kinds of disease problems. Once most of the leaves have fallen, they will not only have to be raked up, but you will have to clean out gutters and downspouts. 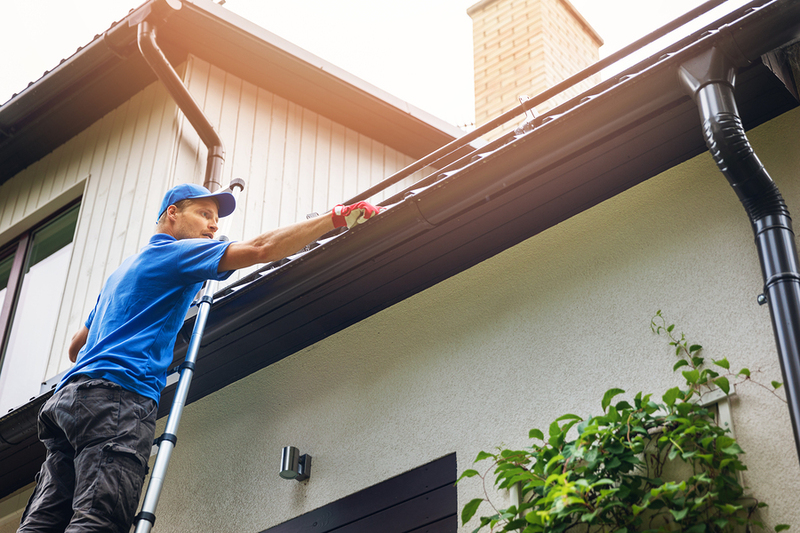 When gutters are clogged, overtime, rain can cause water to build up, which can damage your roof. Trimming dead branches off trees can also prevent damage from occurring in a winter storm. Clean and change AC filters in your air conditioning unit and furnace or heating system. Walk around your property and look for signs of damage to the roof, siding, and foundation. If you spot anything that needs repair, write it down schedule it before winter weather hits. Mice are not afraid to enter your house, especially during colder weather when they are looking for somewhere walk to stay. And they only need a small gap to be able to get into your house and feast on all the stuff in your pantry. One way to avoid this is by filling and repairing small holes and covering large gaps. Fix the crack on your walkways. Yes, it might seem like a tedious task to do, but many people don’t know that when water gets into these cracks, it can freeze if the temperature drops low enough and can make the crack even bigger when it expands. Over time, this can cause concrete to crumble. According to the U.S. Department of Energy, heat loss through windows is accountable for 25-30 percent of heating energy use. Weather-stripping window frames and doors can help keep warmth in and cut energy costs. You can also add door sweeps to the base of doors with a draft to keep heat in and cold air out. It’s also a good idea to replace screens or clean them if needed. Dryers usually come with one annoying thing: lint buildup. Lint buildup on dryer vents can make your dryer work less efficiently and increases the possibility of a fire. During the fall, the weather is cool and dry, which can cause an increase in static electricity, something that can also ignite lint that has been built up over time. Cleaning out your garage is also a good idea. Purge all the things you have used in a while and organize the stuff you want to keep. As the summer season comes to an end, it is important to make sure that your home is ready for the upcoming fall season. There is a lot of preventative home maintenance you can do that will save money in the long run. At Fix-it Rite in Sacramento, we understand the importance of properly maintaining your home and believe that it not only enhances its value and appeal but makes it easier when it comes to managing a crisis later. With the help from our technicians at Fix-it Rite, you and your home will be ready as the chilly weather approaches. For more questions about HVAC maintenance, call Fix-it Rite in Sacramento at (916) 363-6022 to schedule an appointment with one of our reliable technicians. Click here for a free quote. Expedite your service by submitting this provided online form. We will send you the confirmation. As a family-owned business, Fix-it Rite specializes in appliance repair on existing units in and around your home or business. Whether it is appliance repair or installation, the skilled technicians at Fix-it Rite are dedicated to the appliance repair needs of the Folsom, Sacramento, Stockton, and Wilton residents.